Marcus Rashford has been a thorn for all teams that have faced Manchester United as of recent. Even before Jose Mourinho was sacked, the youngster was displaying his brilliance, taking advantage of the void that Romelu Lukaku’s goal-scoring drought had created. Under Ole Gunnar Solskjaer, the Englishman has been ruthless, scoring five goals and proving himself to be capable of consistent first-team football. Gone is the young player that was learning the ropes under Jose Mourinho. This Rashford has the capability of leading the team. The most daunting factor here is that he is still only 21, registered as an u21 talent in United’s official roster. With his sole goal proving to be the winner against Leicester City on Sunday, Rashford set another decisive record as well. The outing was Rashford’s 100th for the Red Devils. This takes particular significance considering that the youngster has achieved this number at an age younger than when Cristiano Ronaldo, Steven Gerrard, and Frank Lampard notched their centenaries. This goes on to highlight just how much the United number 10 holds. Towards the end of the winter window, rumors were strongly suggesting that Real Madrid were willing to table a massive bid for his services. It is incredible to think that it was a chance injury that elevated Rashford’s start to life in the senior team from the academy. That was under Louis van Gaal, who had repeatedly utilized the youngsters to save his hide. However, it was Jose Mourinho that provided Rashford with the large bulk of his 100 appearances, and the Portuguese gaffer truly instilled in him the ethos that Ole Gunnar Solskjaer’s attacking DNA has all but activated. 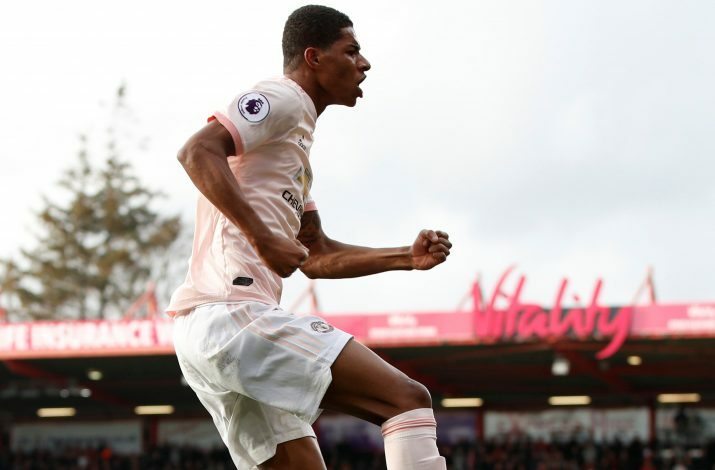 Rashford has held that hunger for scoring from the start, but as of recent, he has shown the making of a more versatile player, and it goes without saying that the Theatre of Dreams will be aching for him to not go anywhere else.